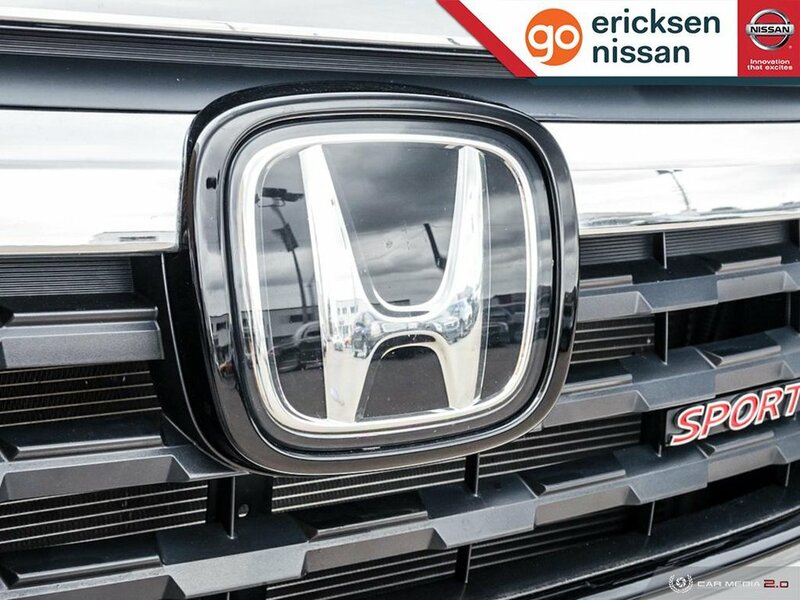 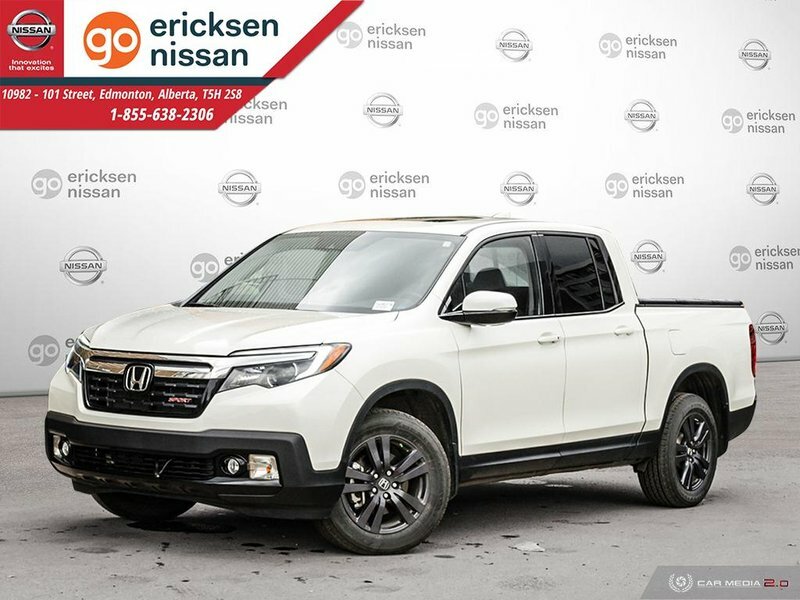 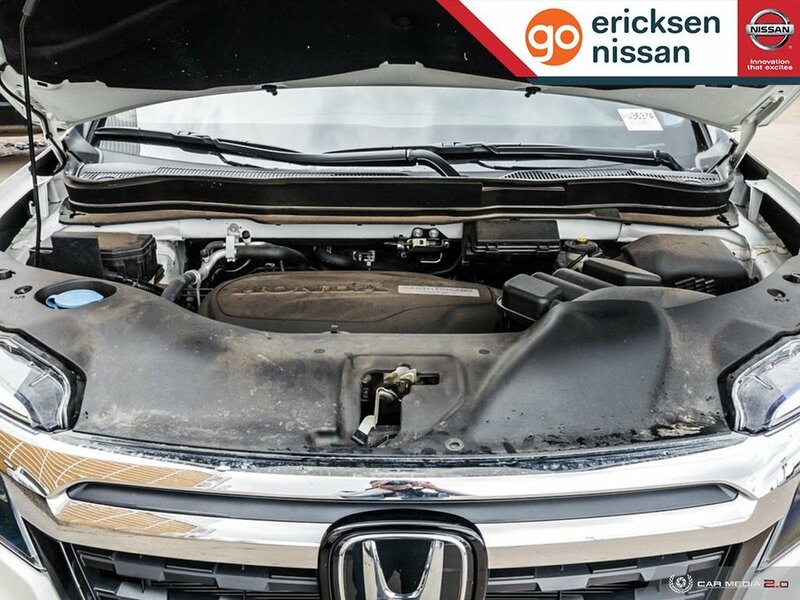 2018 Honda Ridgeline Sport 4x4 Crew Cab, LOW KMS! 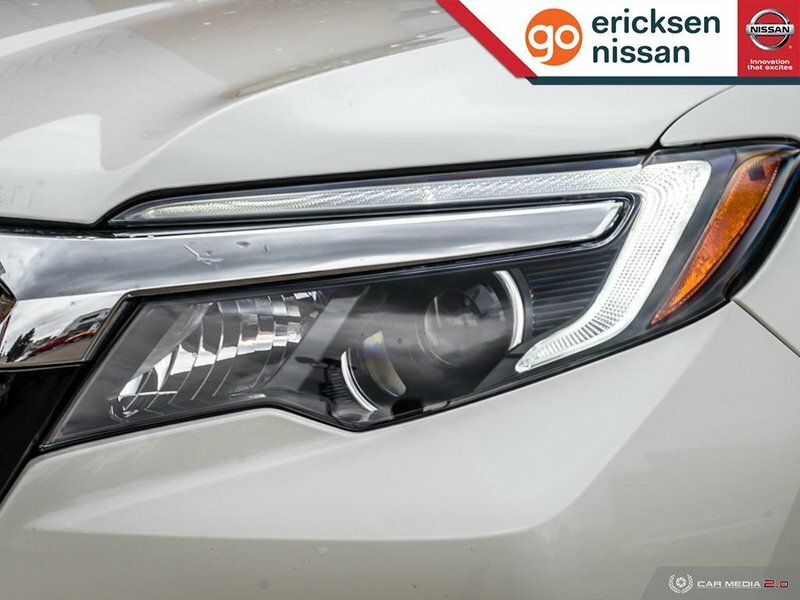 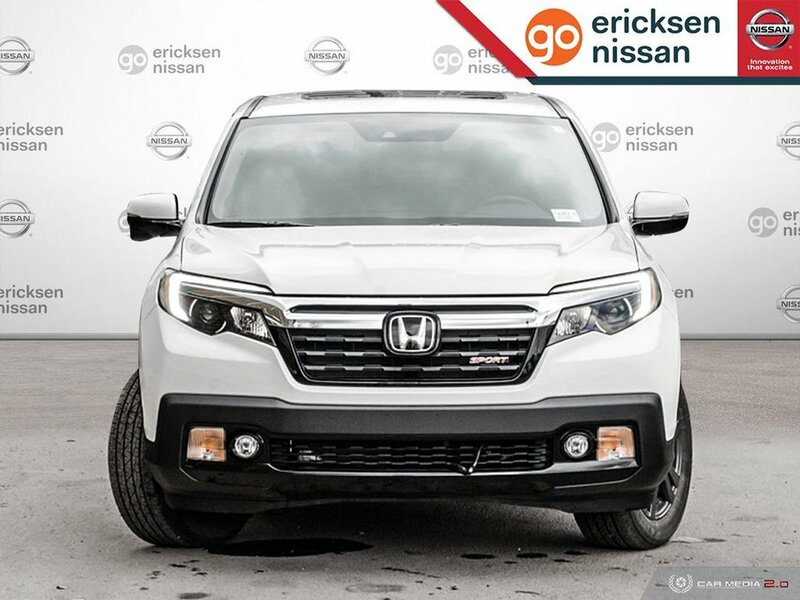 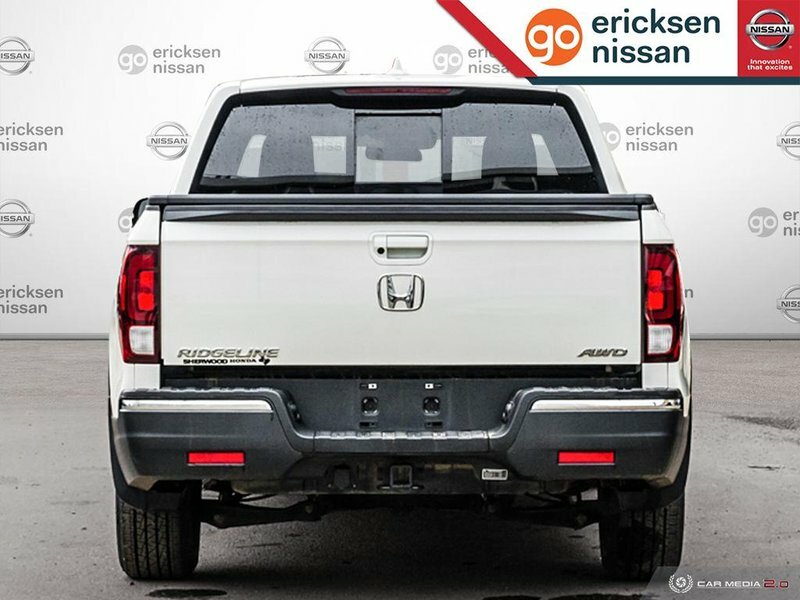 We know you'll be impressed with our 2018 Honda Ridgeline Sport Crew Cab AWD in White Diamond Pearl as it delivers an unrivaled blend of ingenuity, functionality, and stylish sophistication! 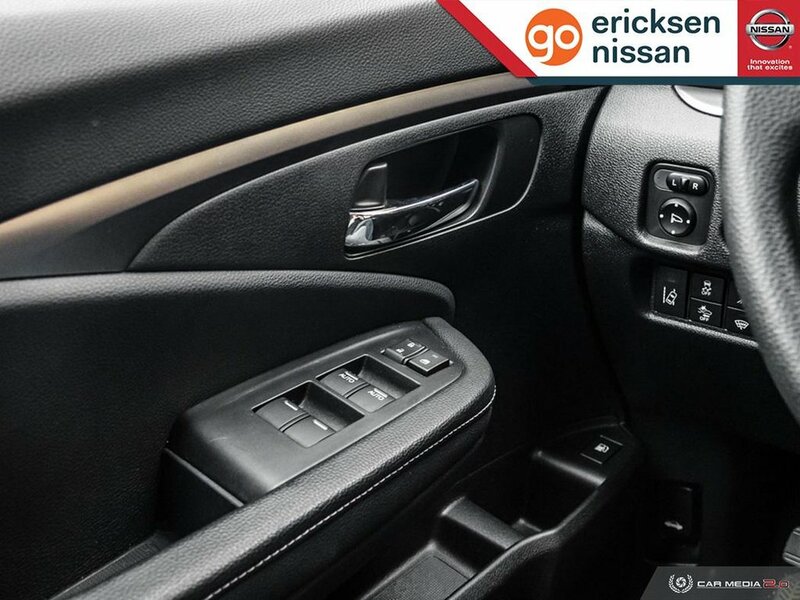 Powered by a 3.5 Litre V6 that delivers 280hp while perfectly matched to a responsive 6 Speed Automatic transmission. 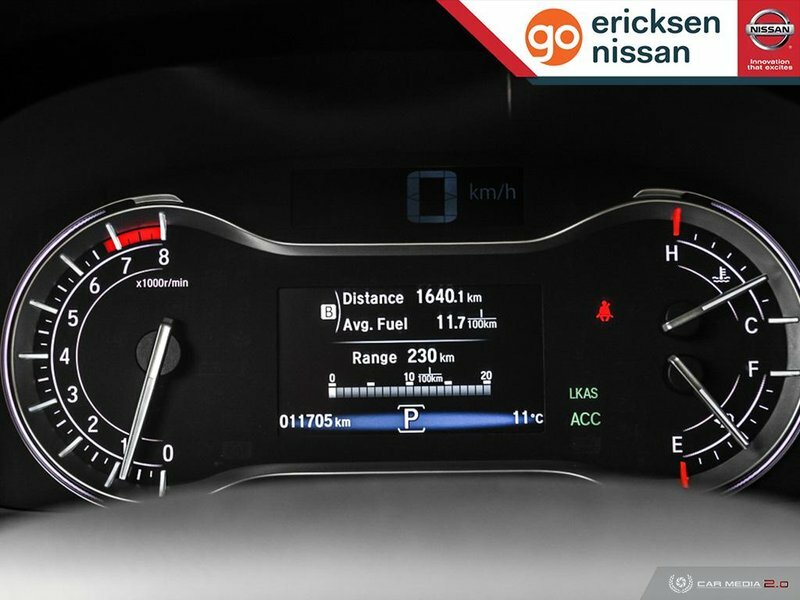 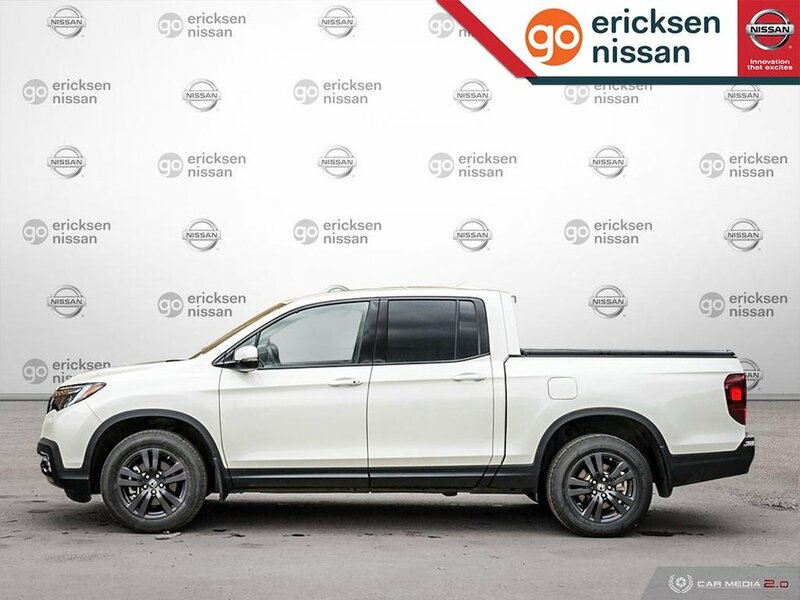 This All Wheel Drive delivers a remarkably smooth ride that's superior to other trucks with its sophisticated fully independent suspension and also rewards you with near 9.0 L/100km on the highway. 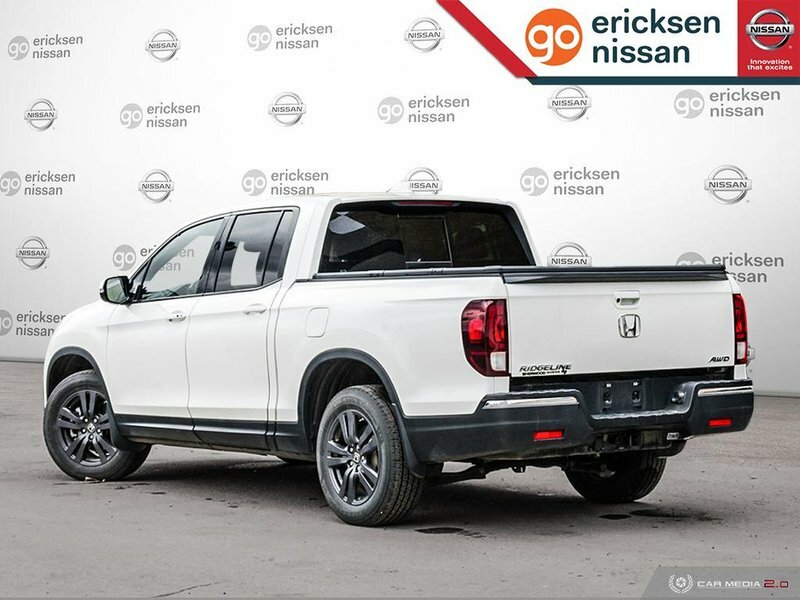 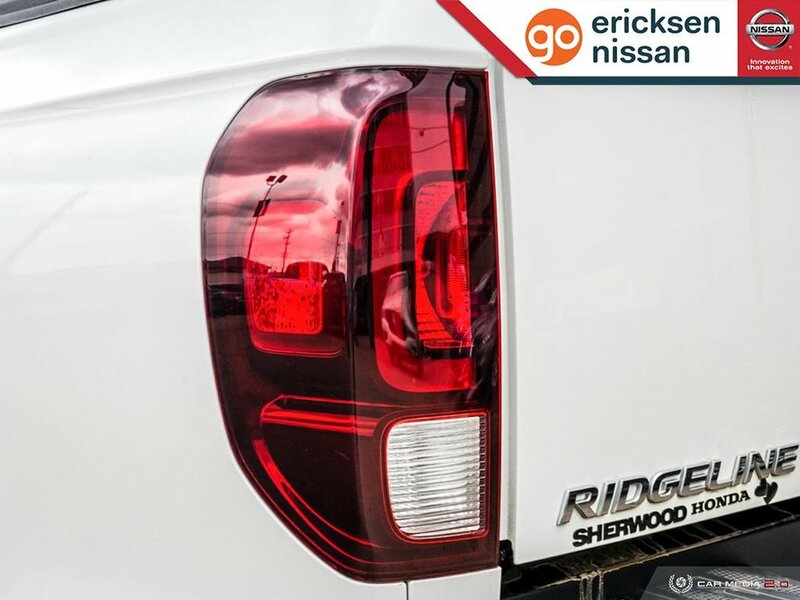 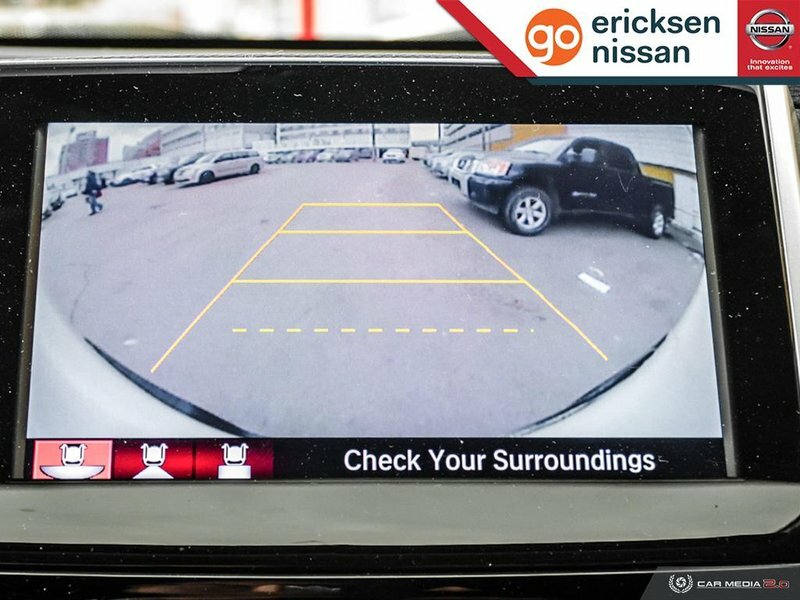 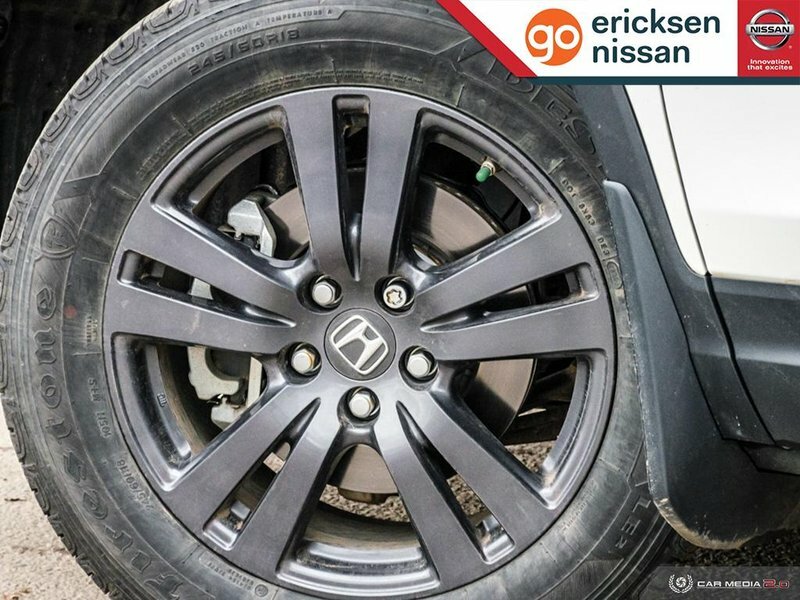 Step up to our unique Ridgeline Sport with its dual-action tailgate, black accents, Sport badging, great -looking wheels, integrated trailer hitch, and truck bed lights. 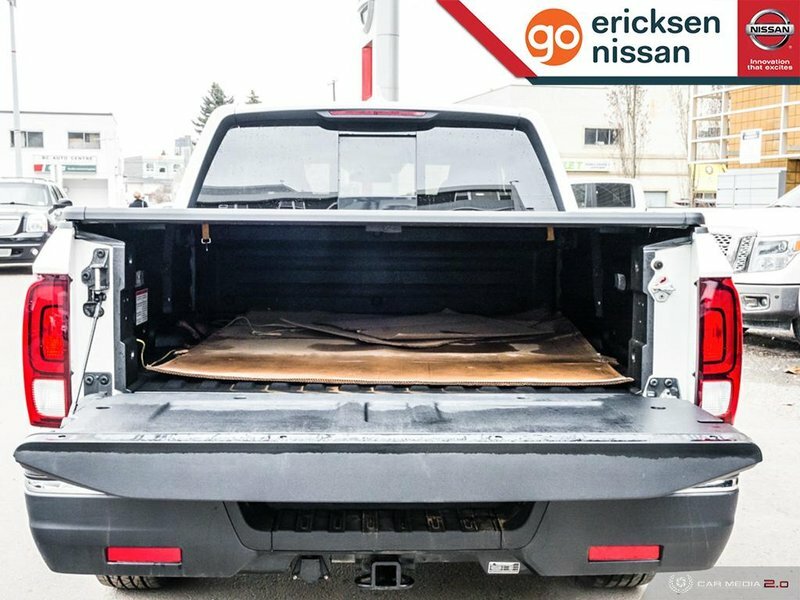 You'll also really appreciate the lockable trunk with 7.3 cubic ft of versatile storage that even features a drain so you can use it as a cooler! 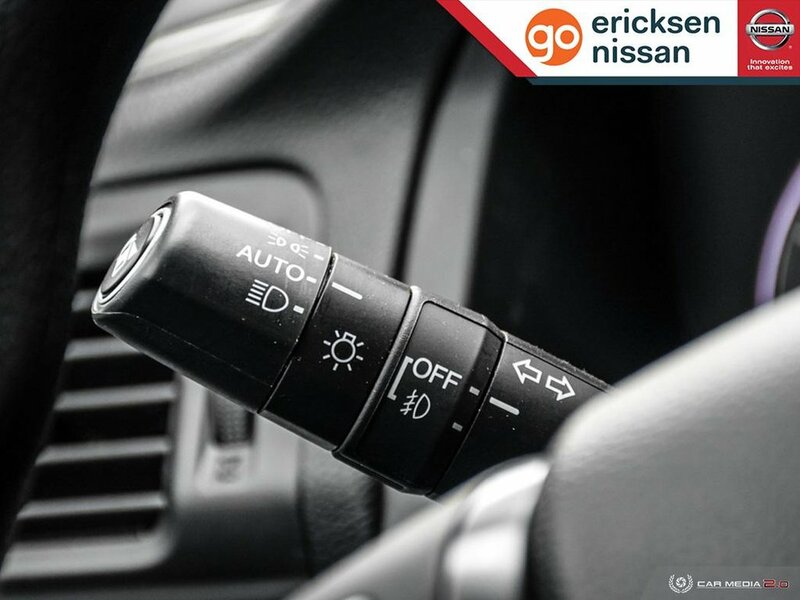 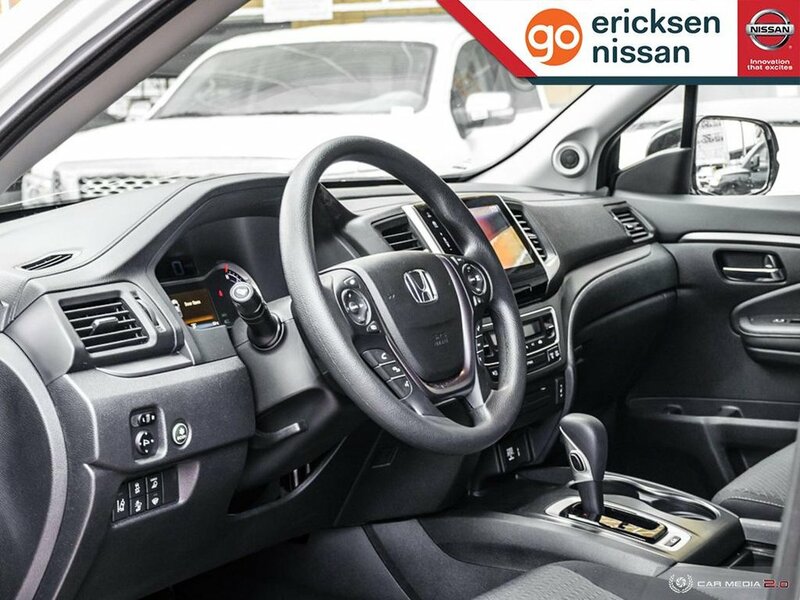 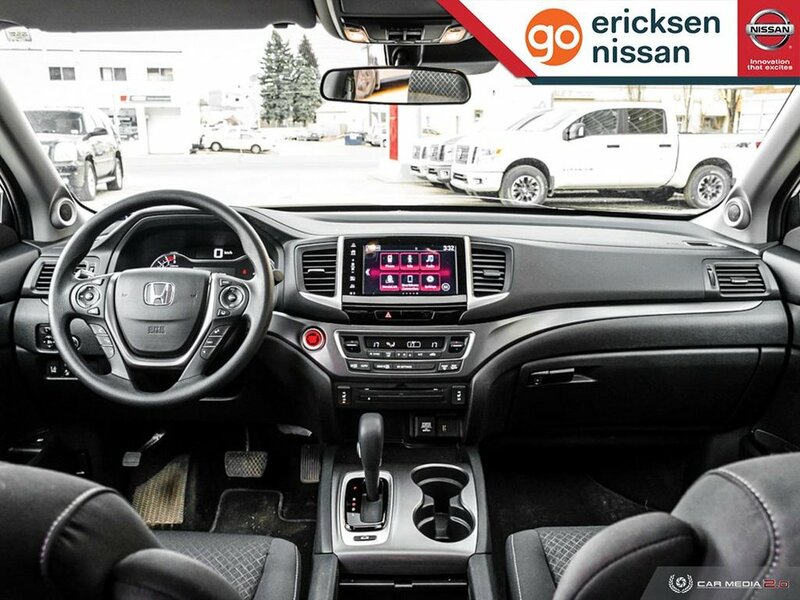 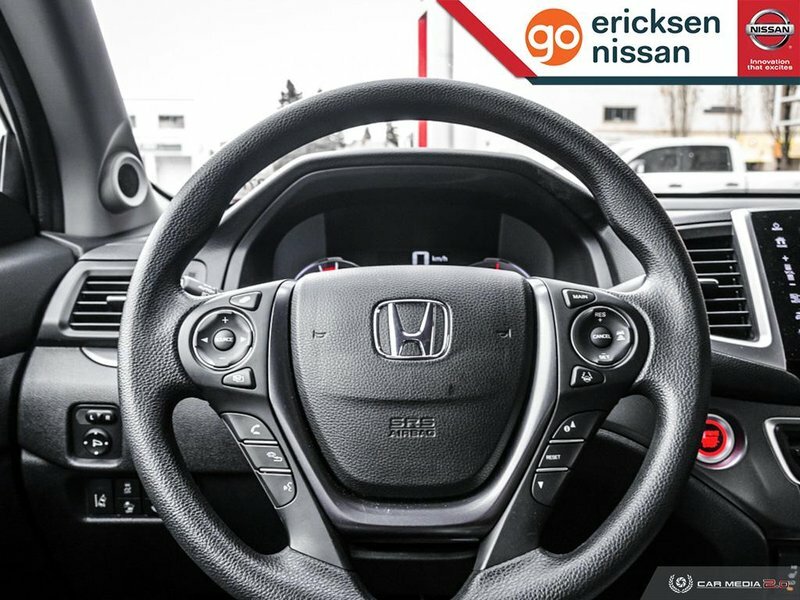 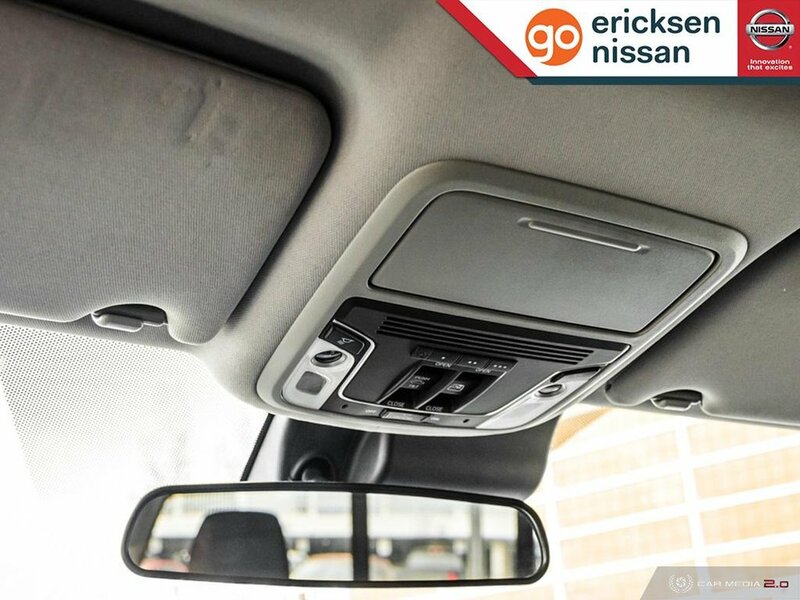 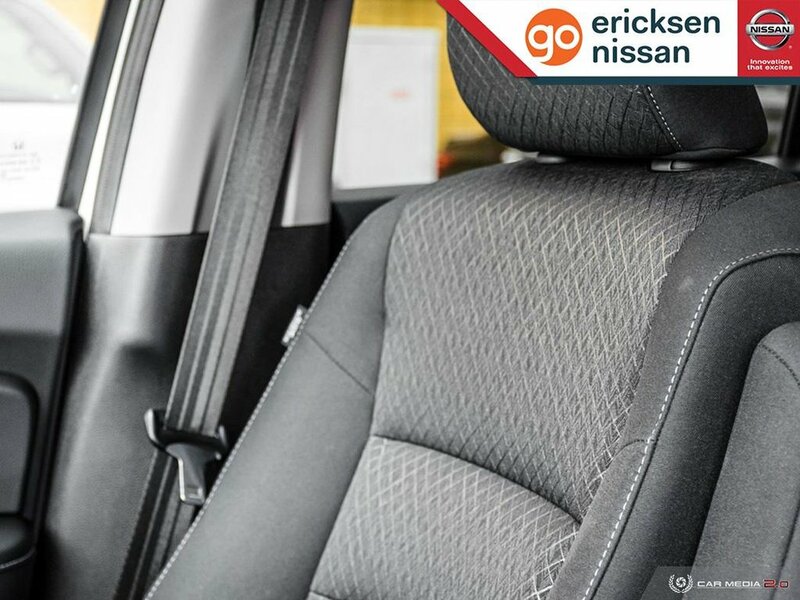 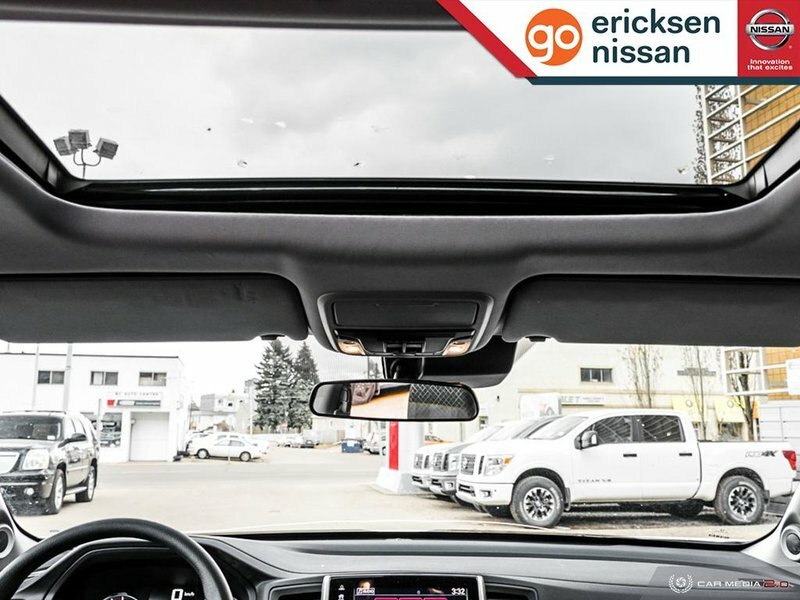 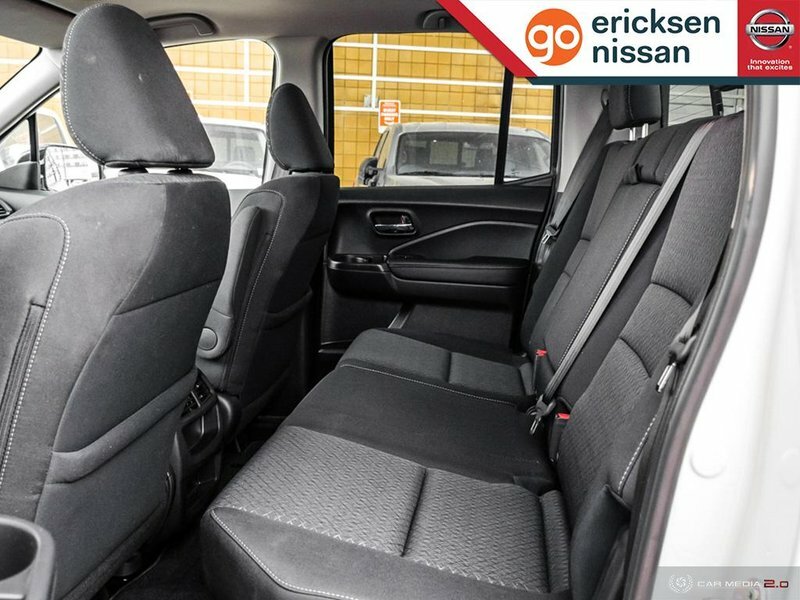 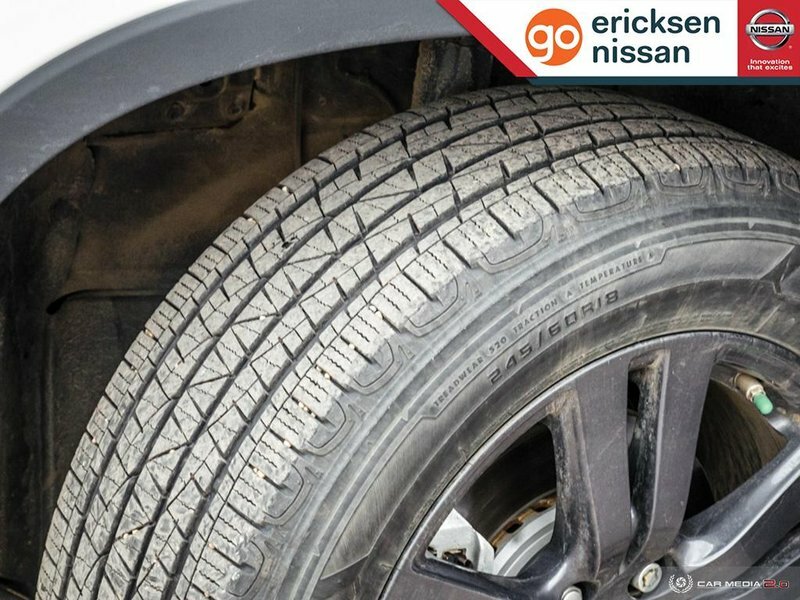 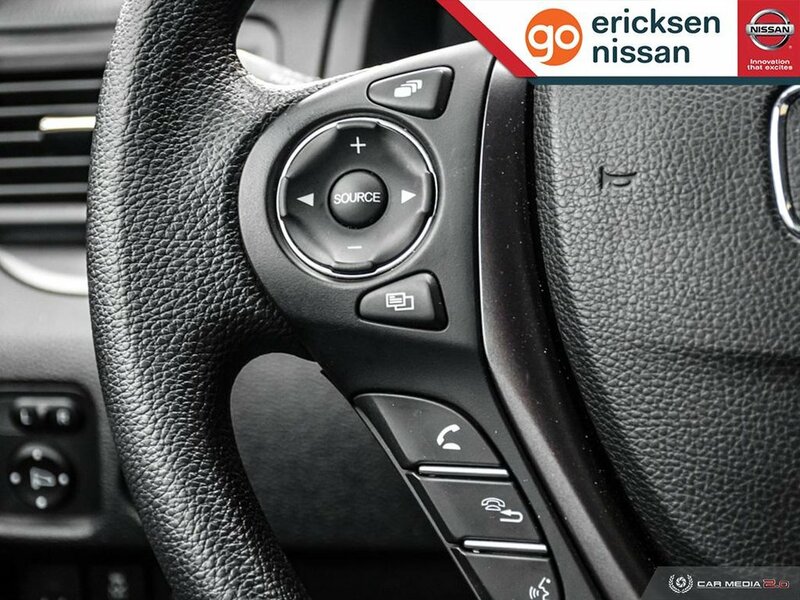 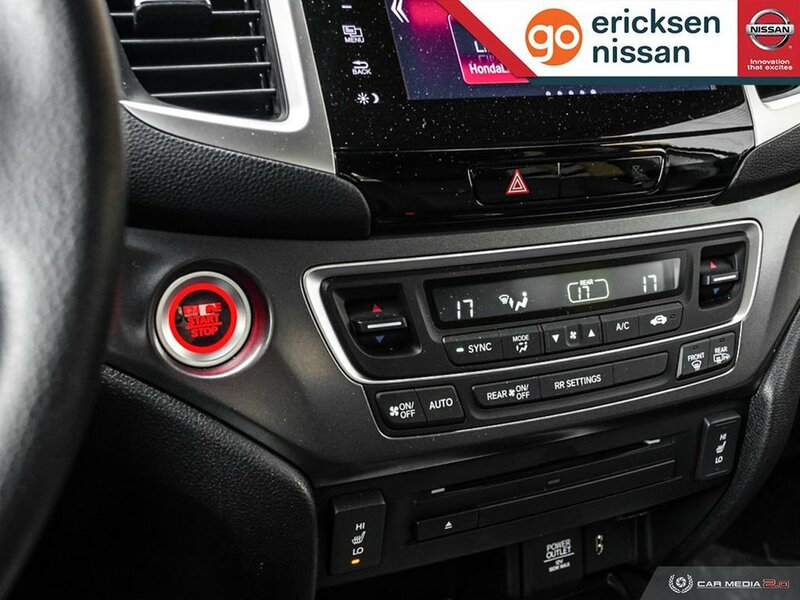 The roomy cabin of our Sport comfortably seats five and has the most passenger space in its class, as well as a wealth of comfort and convenience features including remote engine start, smart entry, HomeLink, heated front seats, a sunroof, and tri-zone automatic climate control. 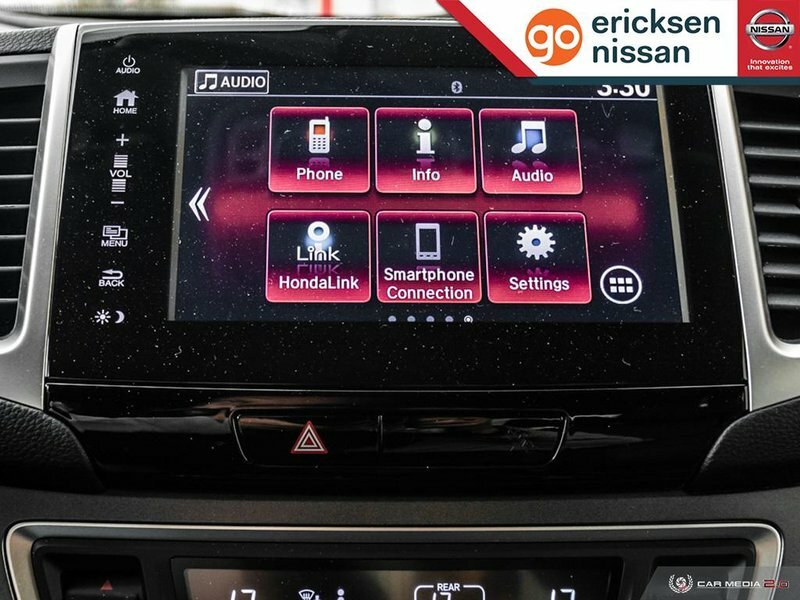 Check out the multi-information screen, full power accessories, and incredible audio with USB, Bluetooth, and a prominent display screen!